I've been slacking a little lately and haven't been taking as many pictures as I should. But here are a few outfits Jules wore in the last couple of weeks. 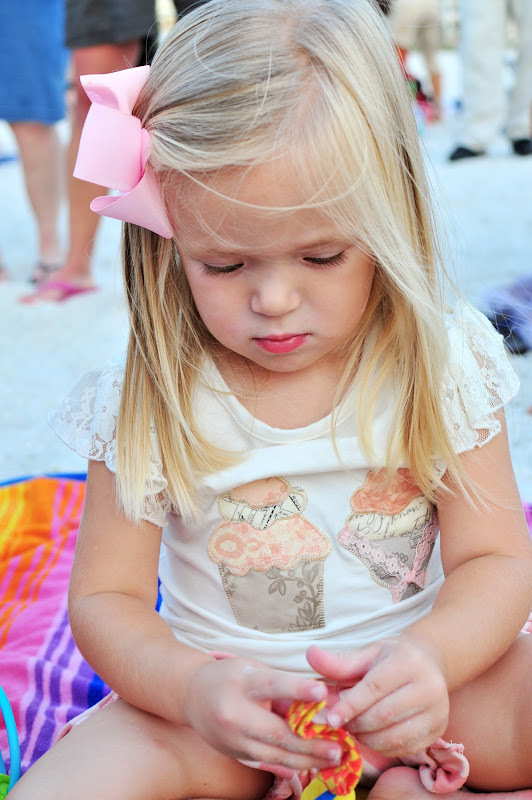 Jules turned 3 on October 10t, so she wore this adorable cupcake Kate top with pink ruffle shorties by Persnickety Clothing the weekend before her birthday. 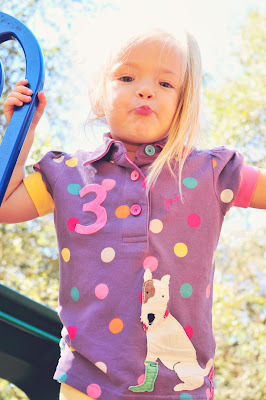 From the moment I saw this top, I wanted it for Jules, but I'm always afraid to put anything white on her. She did great and the top is still in pristine condition and waiting to be worn again. 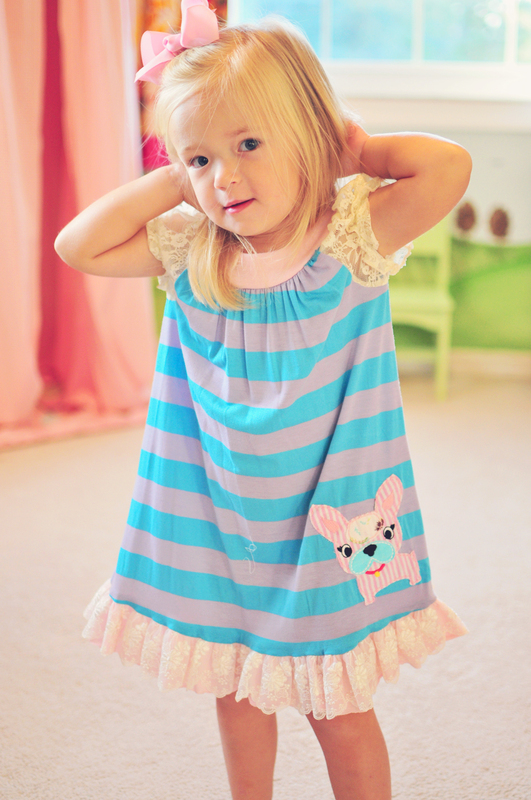 On the day of her birthday, Jules wanted to ware this sweet puppy dress by Twirls & Twigs. Peter and I disagree on what kind of puppy it is, I think it's a little pug and Peter says it's a chihuahua. In any case, the Twirls and Twigs dress is super cute with its romantic lace puffed sleeves and double lace ruffle at the bottom. 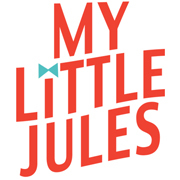 I'm so excited that our Little Jules is finally big enough for Little Joule - an award-winning UK brand. The smallest size Little Joule comes in is 3T and Jules is finally growing into some things I put aside for her. We love Little Joule for its unique, colorful personality, fun mismatched details and adorable appliques. Yesterday Jules wore this darling polo shirt with puppy applique. 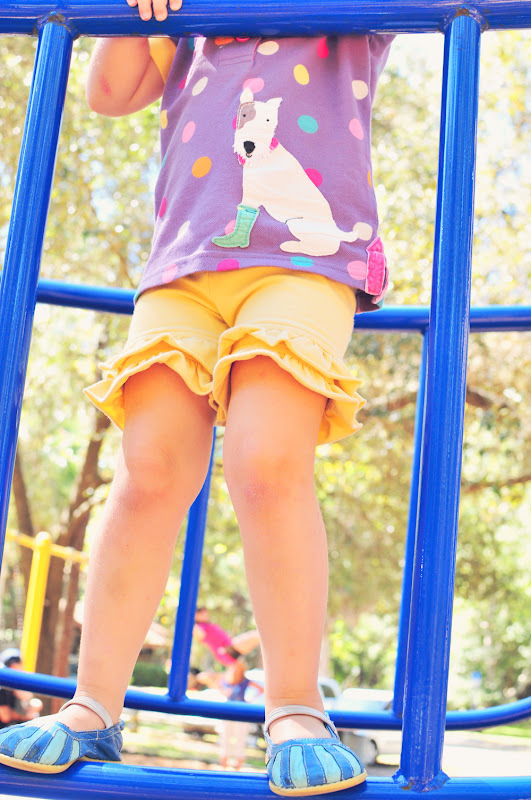 We matched it with Persnickety Clothing double ruffle shorties in yellow. 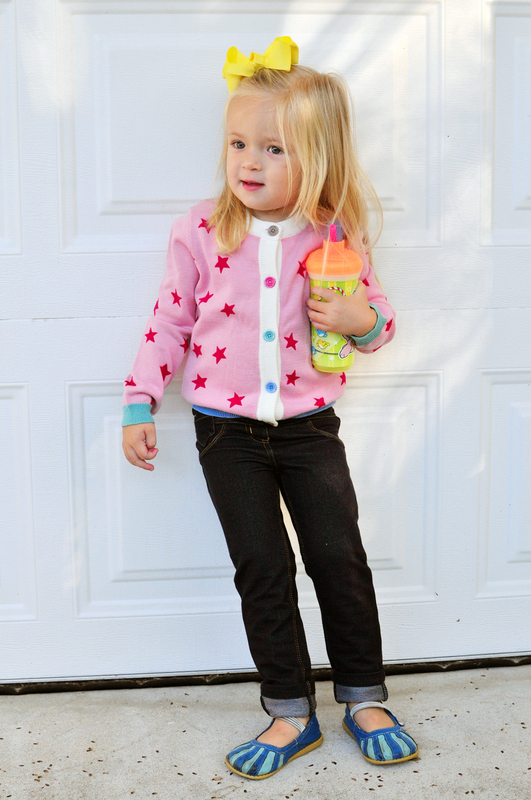 Today, Jules wore her star cardi by Little Joule. When we walked into daycare center, the kids from Jules' group told her how cool her "sweater" was. When the kids are excited about a piece of clothing, you know that the designer did something right! :) On the bottom, Jules is wearing soft knit jeggings by Deux Par Deux. 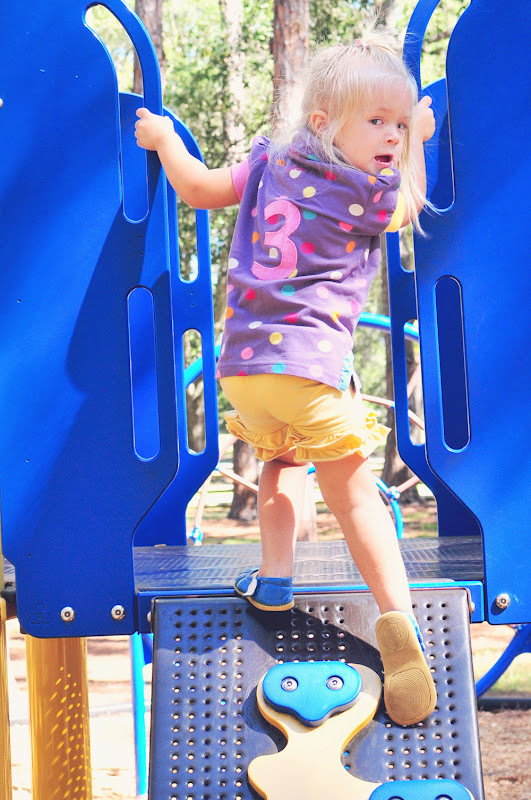 And can you tell she is obsessed with her "cloud" shoes (Dawn Blue by Livie & Luca).